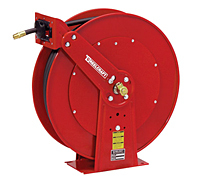 Looking for Air Hose Reels? Click here! • An organized, clean workplace is proven to be more efficient. 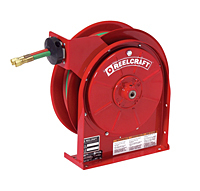 • Reelcraft Reels makes hose handling more safer and efficient. 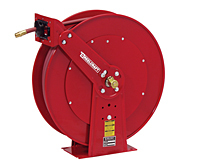 • Manage your hose better and decrease labor costs. 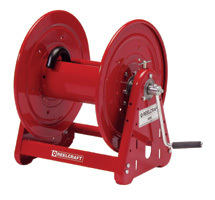 Slips, trips and falls constitute the majority of general industry accidents, which cause 15% of all accidental deaths, and are second only to motor vehicles as a cause of fatalities. The OSHA standards for walking and working surfaces apply to all permanent places of employment, except where only domestic, mining, or agricultural work is performed (www.osha.gov). 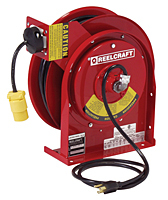 • Hoses and cords can last up to five times longer when stored on a Reelcraft reel. 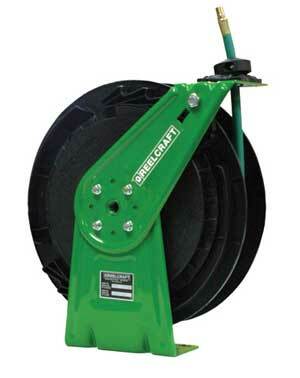 • Avoid replacing expensive hoses,cables and cords that get run over by fork lifts and other vehicles by using hose, cord and cable reels. 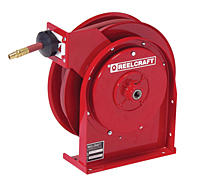 • Hoses on Reelcraft reels can reduce the threat of expensive air and water leakages. 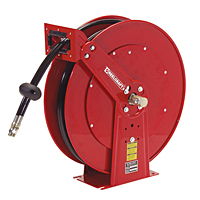 • You can increase your work productivity by safely locating hoses and cords where you need them on hose reels. 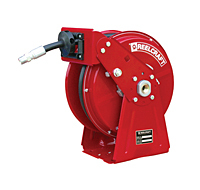 All of these factors contribute to an improved work environment, which saves your company time, equipment and money. Do You Meet OSHA Requirements? 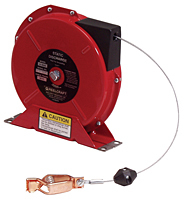 make sure you meet OSHA requirements. 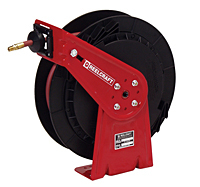 Reelcraft How-To Video: How to change the hose on an enclosed hose reel from Reelcraft Industries on Vimeo.